In a surprising development that promises to shake up the wholesaling and retailing industries, United Natural Foods Inc. (UNFI) will acquire its embattled counterpart, Supervalu, for $2.9 billion, in a combination of the country’s largest natural/organic and conventional suppliers. The price of $32.50 per share—a 64% premium to its closing price Wednesday—represents a windfall for Supervalu shareholders. The company for the past year has been hounded by activist investor Blackwells Capital, citing a long history of underperforming stock. It also caps a whirlwind two-year transformation under Supervalu CEO Mark Gross, who led the moves to acquire competitors Unified Grocers and Associated Grocers of Florida and sell retail banners, including Save-A-Lot and Farm Fresh. The deal has been approved by the boards of both companies and is expected to close in the fourth of the calendar year, pending approval of antitrust authorities and shareholders. For Providence, R.I.-based UNFI, the deal brings thousands of new products and customers and dozens of warehouses to address ongoing constraints on its capacity. It also diversifies its base ahead of speculation that its largest customer, Whole Foods Markets, could sever its relationship now that it is under control of Amazon. It will also substantially increase UNFI's debt; its stock in early trading was down by nearly 12%. “The really exciting thing about this combination is that it creates a one-of-a-kind company that truly does not exist today,” Gross said in a conference call. The combined company will be led by UNFI CEO Steven Spinner. Sean Griffin, UNFI’s COO, will become the CEO of Supervalu, and he will lead post-closing integration efforts, including a committee comprised of executives from both companies to drive the implementation of best practices, the delivery of synergies and a rapid and smooth integration. UNFI said it would seek to sell Supervalu’s remaining retail banners, which include Cub Foods, Hornbacher's and Shoppers Food & Pharmacy. 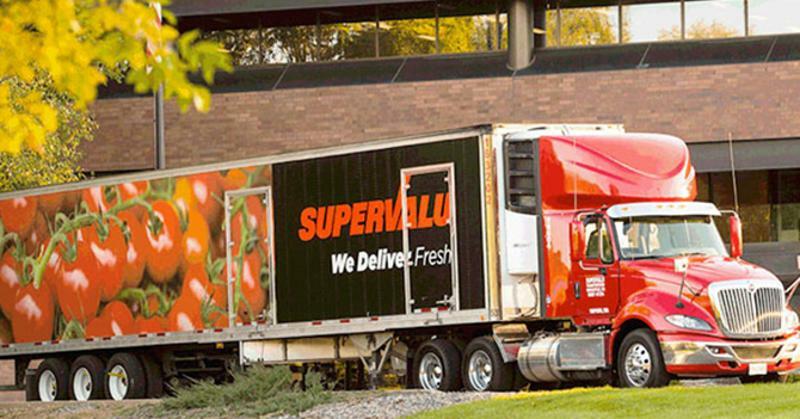 The announcement came as Supervalu was wrapping up its annual expo in St. Paul, Minn. In presentations at that meeting earlier this week, company officials outlined a strategy to utilize its Market Centre division of specialty and ethnic distribution so as to better compete with specialty natural wholesalers such as UNFI. Market Centre came to Supervalu as part of its Unified Grocers acquisition. The company is set to open its first Midwest warehouse for Market Centre next week in Joliet, Ill.
UNFI said it would finance the purchase primarily with debt, then seek to reduce it in part through divesting retail banners and other strategies such as sale-leasebacks.